SeaWorld's come under fire time and time again for its questionable treatment of its animals, but that's not how CEO Joel Manby sees it. "Nowhere else can consumers experience so much family fun and togetherness while also making the world a better place for animals and their habitats," he said during an investor call on Thursday. Unfortunately for SeaWorld, the public still isn't buying it. The call followed the release of SeaWorld's 2015 earnings report, which revealed another year of less-than-ideal results. Revenue decreased to $1.37 billion in 2015 from from $1.38 billion in 2014, the company reported. Net income was down to $49.1 million in 2015, from $49.9 million in 2014. While the park announced that total attendance was up, to 4.41 million in 2015 from 4.37 million in 2014, the numbers were bolstered by the company's non-SeaWorld holdings like Busch Gardens. Attendance at both SeaWorld San Antonio and SeaWorld San Diego was still down; the company blamed bad weather and ongoing "SeaWorld brand challenges." The company also admitted on Thursday that it had sent an employee to infiltrate and spy on animal welfare groups, confirming allegations that first surfaced last July. 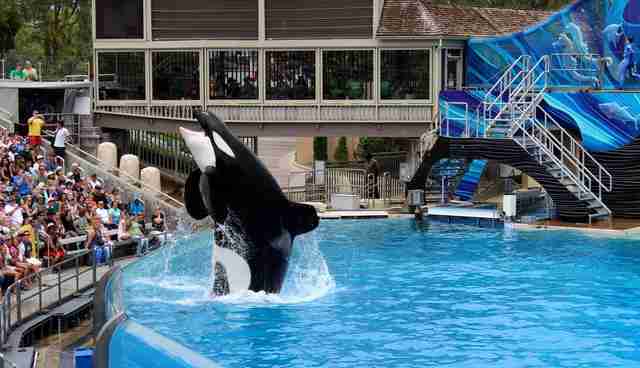 SeaWorld's stock dropped more than 10 percent after the earnings report and the admission of spying were released. SeaWorld has been struggling ever since the release of 2013 film "Blackfish," which raised concerns about whether the park was mistreating its orcas. Marine biologists and former trainers have since revealed that SeaWorld's orcas literally rip the skin off each other, are suffering from severe dental trauma and display a host of abnormal psychological symptoms, among other issues. And SeaWorld's latest financial struggles come in spite of a series of efforts the company has launched to combat public skepticism over the welfare of its animals, including a huge $10 million PR campaign. The company is also constructing several new roller coasters to attract people to its parks. Manby confirmed on Thursday that SeaWorld is moving ahead with its controversial plans for a new location in the Middle East, where there's less public distaste for captive orcas. "We're going to leverage our full palate of hundreds of rides, shows, restaurants, shops and festivals, as well as 800 species of animals, to create a truly unique guest experience," Manby said. SeaWorld recently announced an intensive rebranding effort, which is designed to repackage the marine park locations as a rescue and conservation group. 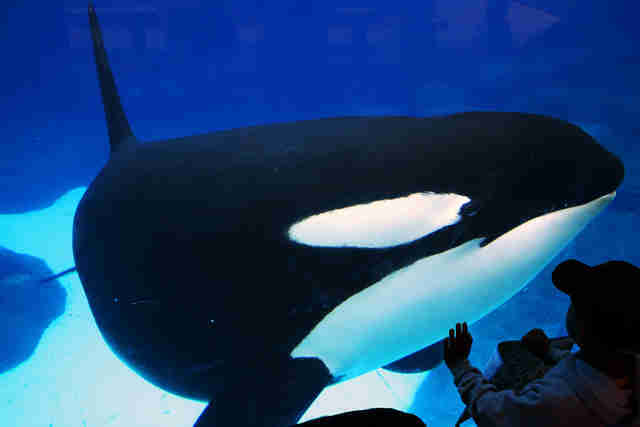 The company has already said that it will remarket its trained orca shows at San Diego as an "orca encounter" - which several outlets mistakenly reported as an end to the shows. Of course, while all this goes on, SeaWorld's orcas are still stuck in their tanks - and it seems the public isn't forgetting that.